The Loop Data Driver Rating is NASCAR's version of Saberemetrics. It is the empirical analysis of many in-race data points that rate overall performance that may or may not be evidenced by a drivers finish position. 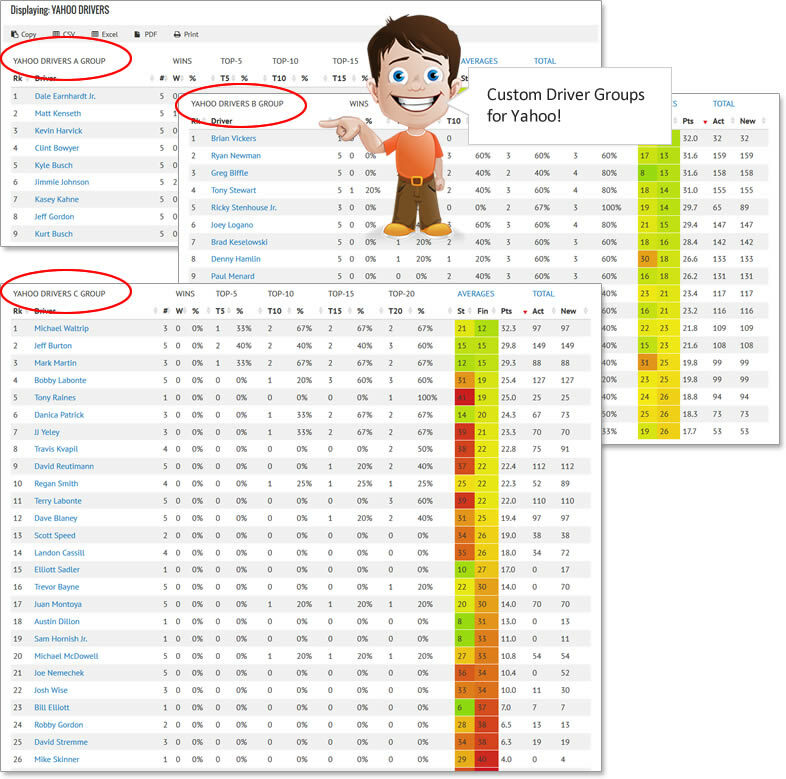 Compare NASCAR Cup Series drivers and their loop data driver rating for each race at Talladega Superspeedway since the 2011 NASCAR season. Look for trends that may reveal that a driver is consistent in performance at Talladega Superspeedway or whether hit-or-miss. NASCAR Loop Data Driver Rating is a much more in-depth rating than average finish position. This grid helps you with your fantasy NASCAR picks in several ways. Challenges a drivers average finish position by giving you a better understanding of how a driver did during the race despite his finish position. A driver with a low average finish position looks great by itself. But, this table may show he only ran one race at this track. Or, a driver may have a higher average finish position which has been skewed by a couple bad races. Either way, in those cases, his average finish is not a very accurate indicator. You can also spot driver trends that may reveal that a driver is on a 'hot-streak' of consecutive good finishes here. Again, much more depth than average finish position alone. It may also show better performance at one event where a driver is consistently better at either the Spring race or the Fall race.